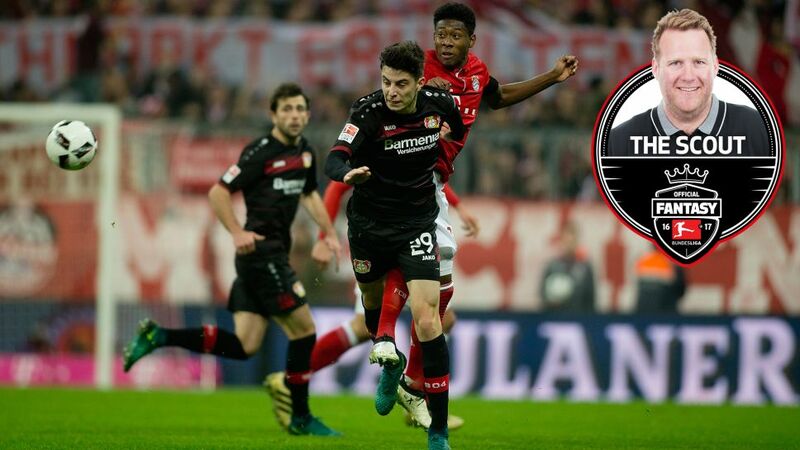 Flo 'the Scout' believes Bayer 04 Leverkusen's 17-year-old midfielder Kai Havertz is a must-have midfielder in Official Fantasy Bundesliga. Christmas is a time of giving, so that’s why on Monday morning I came to work with a couple of pairs of binoculars: one for James ‘the Coach’ Thorogood and one for Matt ‘the Expert’ Howarth. I’m so far ahead in our mini league, they’ll need them, but if I continue to pull clear as I have over the last couple of weeks, telescopes will be in order! That being said, I only picked up 109 points on Matchday 12 and I’m still outside the top 25 in the overall standings, so I’m not going to start blowing my own trumpet. Instead, I want to shift the focus to three Fantasy players everyone should be keeping a close eye on. Get the Official Bundesliga App! Even before Kai Havertz was handed his Bundesliga debut, he had already left a lasting impression on me. I was having a look at SV Werder Bremen’s Serge Gnabry on Jogi Löw’s behalf when I saw who I thought was Leverkusen defender Aleksandar Dragovic, readying himself to come on. He was a great physical specimen, so you can imagine how surprised I was when it turned out to be 17-year-old Havertz!